Get Set...Let's Make Some Ripples! Sponsors match donated funds during Great Give and Early Giving, but there are things you can do to help us reach our goals, too! 1) Spread the word! 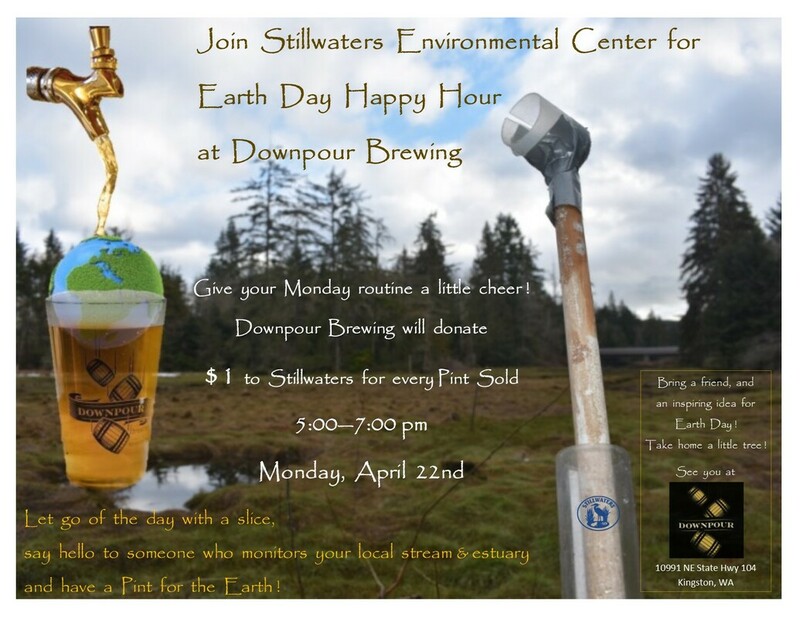 Share with co-workers, employers & friends & family how easy it is to support the work of our intrepid volunteers at Stillwaters by sharing this event page. You never know who it might reach! 2) Share the Answers to Frequently Asked Questions with others so they don't miss the opportunity to have their gifts to Stillwaters Environmental Center matched. 3) Plan to do your donating through Great Give as early as April 9th, then celebrate Stillwaters' 20th Anniversary by stepping outside for a walk along South Kingston & West Kingston Roads. Use your phone to video tape your impressions of the changes and wildlife and free-flowing water you see in the estuary below the Stillwaters Fish Passages! Send us a copy so we can post it on our Facebook page, and encourage others to donate to Stillwaters through Great Give by April 23rd. 4) Throw a party on the night of the Great Give, or any night when your friends are free between April 9 & April 23rd. Make it an open house to make it easy on people, and make it a potluck to make it easy on yourself! Take turns at the laptop making donations to Stillwaters while donations can go so much farther! Do encourage your guests to keep their cell phones out at the table. Text and share news of your Great Give party antics. Text and share serious reasons for supporting a local nonprofit that has been dedicated to helping our community work in concert with the natural flow of the land for the past 20 years. Share the secret that connects the Sound to the streams. Share its connection to the salmon migration, to the orca's survival, too. Share the buffer it provides Kingston properties from storms, and the Suquamish story it embodies. Then lighten up! Watch an Estuary Rap, or two with your guests, and use your phone to create your own West Coast version! so we can plan its debut at our Dinner/Silent Auction in November!